ROOM A is located on the second floor of the Victoria with a view of the gardens. 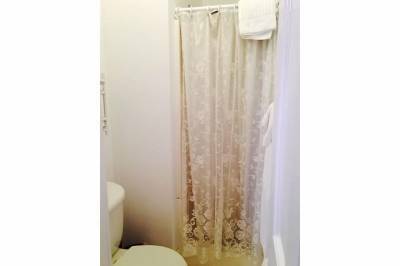 This room can easily accommodate 3 guests with a king size bed, a twin size daybed, antique armoire and dresser, and flat screen TV/DVD. 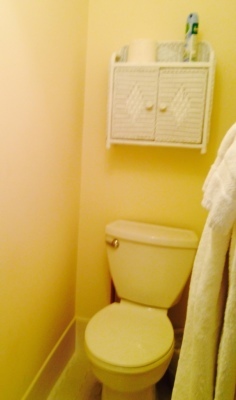 The sink is in the room. Access to second floor porch with a view of the garden area is adjacent. Room A is priced for up to 2 people, $25 extra per night for an additional guest. ROOM D is located on the second floor of the Victoria with a view of the park. 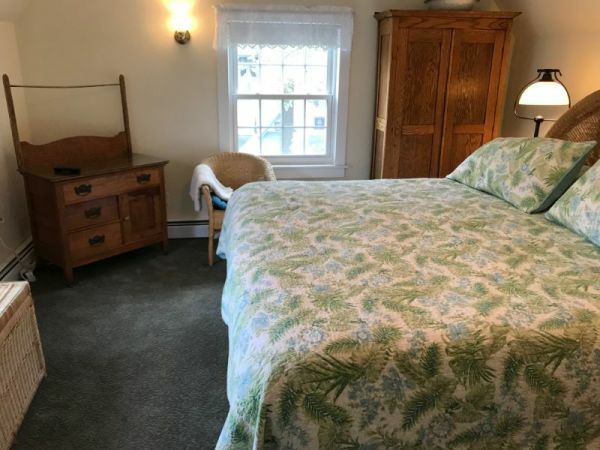 This comfortable room has a king size bed, antique armoire, desk, chair, two wicker chairs and table, dresser, and flat screen TV/DVD. 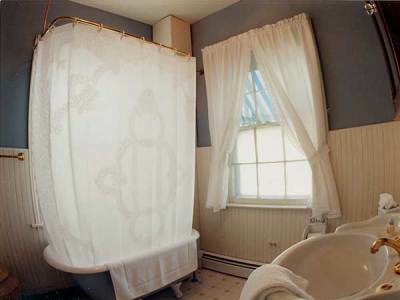 The spacious private full bath has a Victorian tub with shower, toilet and sink. 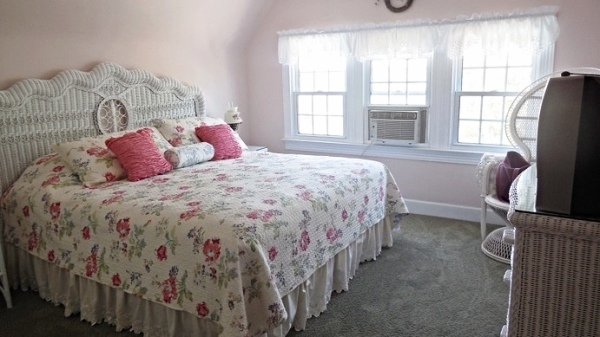 This room can accommodate 3 guests with the addition of a twin size EZ Bed. Room D is priced for up to 2 people, $25 extra per night for an additional guest. ROOM F is located on the third floor of the Victoria with a view of the gardens. 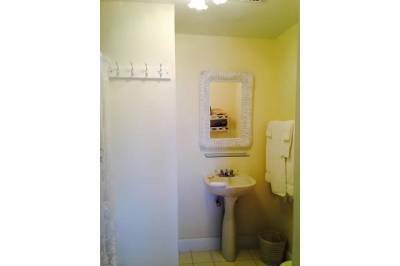 This comfortable room has a king size bed, antique armoire, dresser, and wash stand, two wicker chairs and chest, and flat screen TV/DVD. 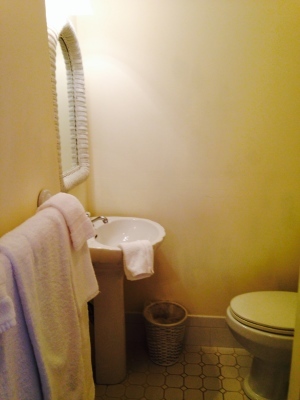 The private full bath has a shower, toilet and sink. Room F is priced for up to 2 people, $25 extra per night for an additional guest. ROOM H is located on the third floor of the Victoria with a view of the park. 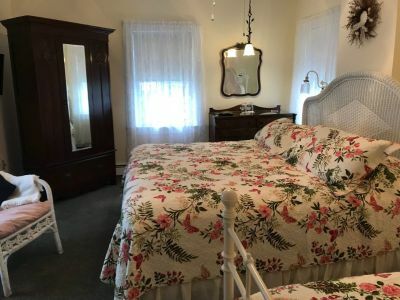 This comfortable room has a king size bed, antique armoire, dresser, and wash stand, wicker chair and flat screen TV/DVD. 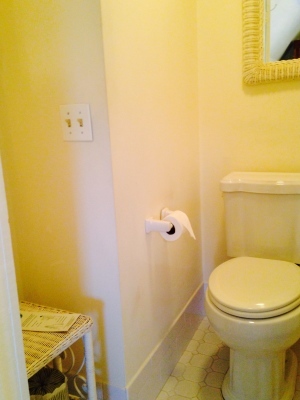 The sink is in the room. Room H is priced for up to 2 people, $25 extra per night for an additional guest. ROOM 1 is located on the second floor of the Victoria Too with a view of the park. 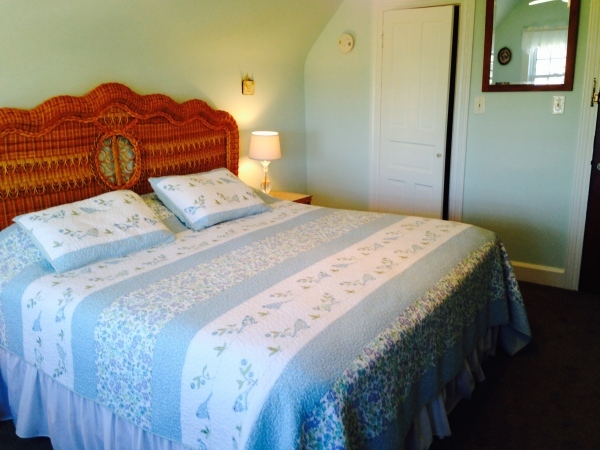 This comfortable room has a king size bed, antique armoire and dresser, wicker chair and flat screen TV/DVD. 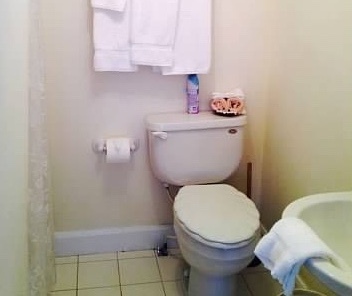 The sink is in the room. 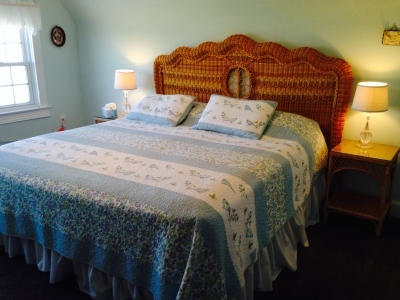 Room 1 is priced for up to 2 people, $25 extra per night for an additional guest. ROOM 5 is located on the third floor of the Victoria Too with a view of the park. 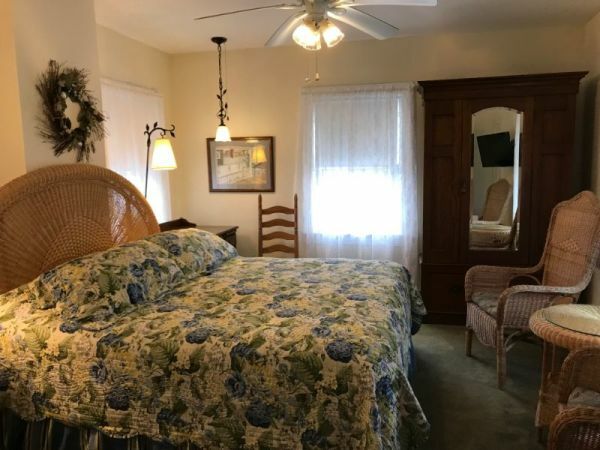 This comfortable room has a king size bed, wicker chair and table, antique dresser and flat screen TV/DVD. 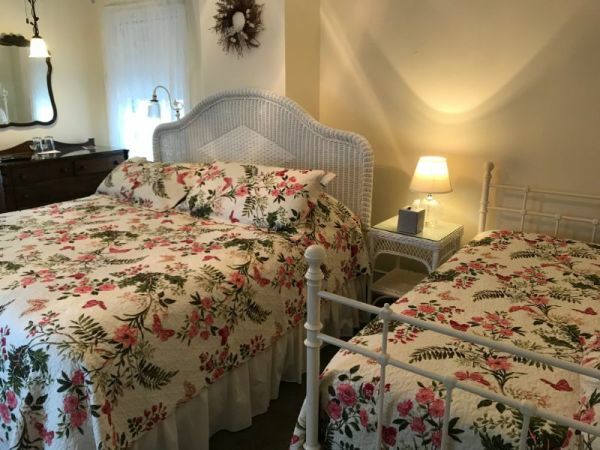 Room 5 is priced for up to 2 people, $25 extra per night for an additional guest. ROOM 6 is located on the third floor of the Victoria Too with a view of the pool. 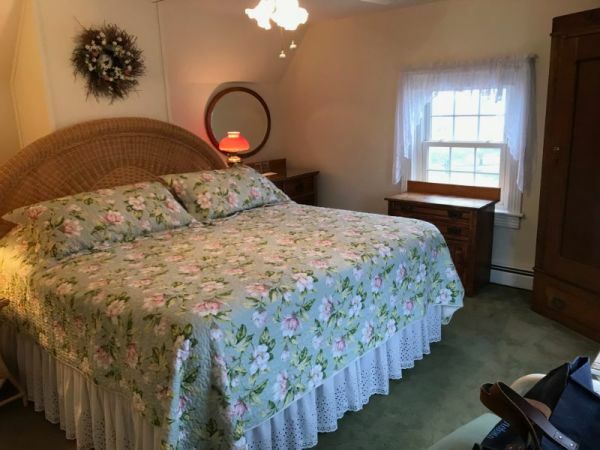 This comfortable room has a king size bed, wicker chair, dresser, and flat screen TV/DVD. 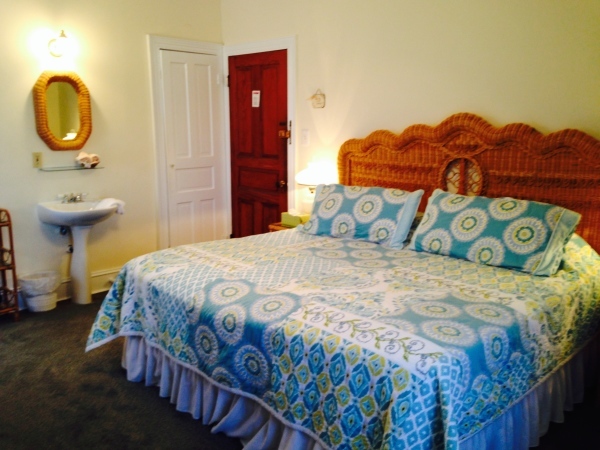 Room 6 is priced for up to 2 people, $25 extra per night for an additional guest.